Call Today: (713) 677-2141 Spreading Education and Safety Information. 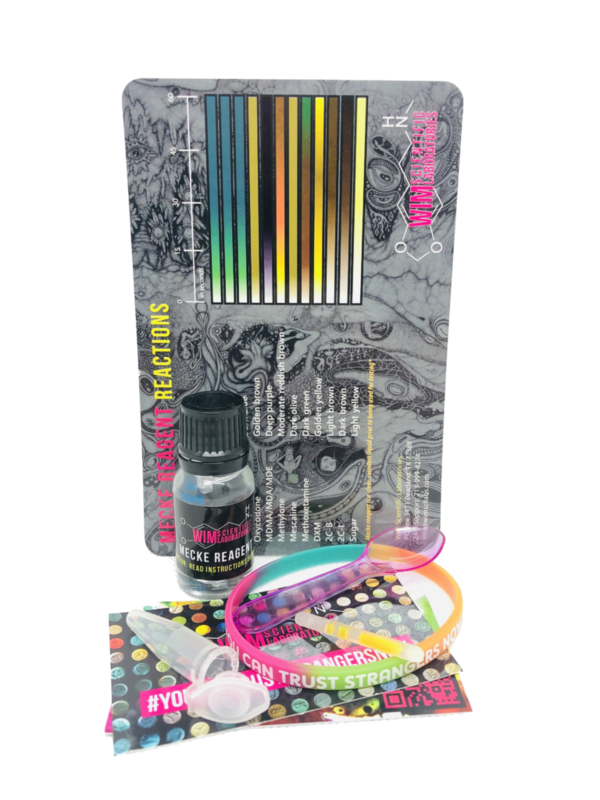 Our Mecke Reagent kit includes everything you need to test cocaine. 1x (10ml) of Mecke Reagent – USA factory sealed ISO 9001 Quality Lab Material Certified Dropper bottle. Contains over 200 individual tests! 1x Instruction Card: Safe handling, storage and most importantly reactions charts. Our contact info in case you need us 24/7 for anything, have any issues, comments, questions, concerns or just want to spread proper knowledge through safe substance use! Remove the reagent bottle from the child proof safety container. The packing absorbent can be throw away. Carefully open the Mecke Reagent’s factory sealed cap. Using the provided mini tester spoon, place at least .010 to .005 Grams (Tiny amount) of the questionable substance into the empty testing vile. Add one or two drops of the Mecke Reagent into the testing vile. Watch carefully during the re-action time, color changes, any fizzing or smoking. Refer to the color reaction chart to determine if MDMA is present in the substance. Wearing gloves, rinse testing vile and the mini tester spoon thoroughly with soap and water after testing. The Mecke Reagent bottle cap should be closed tightly to ensure no leakage or unwanted exposure occurs. It is very important to store away from light (UV Rays) and high temperatures. UV rays and heat will degrade the reagent and significantly reduce shelf life! Reagent testing is never 100% definitive. There are many other factors determining reactions such as multiple substance mixtures. Having said that, our Marquis reagent is the first step toward determining the contents of what your identifying. If reagent comes into contact with skin or eyes, wash promptly with soap and water. Latex gloves are highly recommended when handling kits. If irritation persists, seek medical attention immediately. NOTE: A positive or negative reaction for a substance does not indicate that a drug it is safe. Wear safety gloves and googles. Gave it a shot and actually found a small research chem cut using this reagent in addition to marquis.